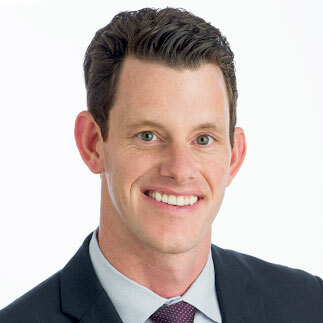 A local resident and strong advocate for the local Dallas communities, Kyle Baugh is a top producing real estate agent who brings passion, excitement and local knowledge to every one of his clients. He has experience and market expertise in many Dallas communities including East Dallas, the Park Cities, Central Dallas, Uptown, Oak Lawn, Oak Cliff, North Dallas, to name a few. Kyle is a year after year multi-million dollar producer with Briggs Freeman Sotheby's and has many accolades to his name. In 2014 he was awarded the #1 top producer in volume companywide at his previous brokerage of over 200 agents. He was recently awarded "the Spirit in the Sky" award at Briggs Freeman Sotheby's, an award only handed out to a handful of agents, for showing exceptional professional growth in 2016. He achieved these awards by making his clients his number one priority. His “customer first” attitude is apparent in every transaction. Whether you are a first-time home buyer/seller or trading in for your forever home, Kyle makes sure that every need is met and that all expectations are exceeded. Kyle has been a Dallas resident since 2000. He attended Southlake Carroll High School and graduated from the University of Oklahoma. His background, prior to real estate, is in Construction Management working for an international commercial builder in different locations across the country managing large scale projects—from a space shuttle launch facility in California to Dallas Love Field Airport reconstruction. He has also remodeled and built several homes in the Dallas area. His extensive construction and management skills provide buyers and sellers a unique and beneficial perspective in the home buying/selling process. Kyle lives in Vickery Place with his wife Sarah and their dog Foxy. He is currently the Vice Chair of Metrotex Young Professionals Network, a member of the East Dallas Chamber of Commerce, Lower Greenville Neighborhood Association, East Dallas Young Professionals Network, OU Club of Dallas and a Phi Gamma Delta alumni. In his free time Kyle enjoys walking down to lowest Greenville, running White Rock Lake, playing golf and traveling.